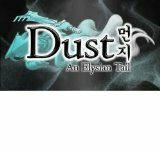 “Dust: An Elysian Tail” (“Dust”) is the inaugural Indie development effort of Humble Hearts, with the majority of the work on the game having been done by Humble Hearts founder, Dean Dodrill. Dodrill began the development cycle for “Dust” with the intention of releasing it on the Xbox Live Indie Games Channel. That plan changed, however, when early builds of the game snagged the developer an official contract with Microsoft Game Studios in 2009.